Fitness is a journey and thing of the mind; however, the body won't go where the mind doesn't want it to. There are times disappointment sets in when we are not getting our desired results or things aren't going our way, the idea of giving up comes in but this is where we let you know that the road to fitness is not a straight or steady one, it has its ups and downs, weaknesses and strengths all you have to do is just keep pushing on and the sky is just the beginning and not the limit. You should understand that there isn't any shortcut to fitness only hard work pays, those days spent at the gym sweating and burning fat counts and it's just a matter of time you'll begin to witness the results. However, there are what we call reinforcements that are taken to ensure we meet these required targets. We are not saying it's a shortcut to fitness, but these reinforcements support whatever kind of food we consume throughout the workout stage. Apart from protein powders, we have supplements that help improve performance making your stay at the top of your game every day every time. 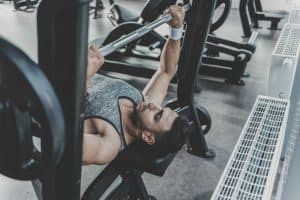 In this post, we would be comparing and matching these two pre-workout supplements, their features, benefits, side effects, and how well they fare together. When we hear the words Xplode (even if that's not it's actual spelling) or C4 things that come to mind are explosives, danger, and destruction. However, No Xplode is a known pre-workout booster made to help athletes increase efficiency. In order to attain a productive and efficient workout session, mental and physical strength is key, the mind and body are a necessity when it comes to fitness and workout. Likewise, C4 in contrast to its actual meaning of destruction actually refers to its fiery energy, towering focus and desire to engage in any challenge no matter how hard they might be. A lot of people varying from starters to professional athletes, bodybuilders have all depended on C4 to assist them in making and turning all their efforts and time spent in the gym into reality, and goals and they have all given good reviews on this product and how well it has helped them push further towards their goals. Excellent intenseness and efficiency backing. It has effective additives that help you take your workout to the next level-Giving you steady endurance and ultimate performance. C4 Original is a pre-workout supplement that strengthens your workouts and kicks your fitness level up a notch. C4 Original's high-powered formula features a special blend of patented ingredients that put the edge in energy and performance. Let's take a look at some distinct features both No Xplode and C4 have. No xplode is known to give you that powerful pre-workout spark. With a rich history of aiding athletes in training stronger and tougher. No Xplode has been remodelled to drive you beyond your former boundary. Reinforces and gives you a charged, intense focus and maximum training routine. No Xplode is available in 2 sizes (30or 60 servings respectively), so you don't have to worry about size. It is made from a blend of trademarked ingredients that improve strength and perseverance for effective workouts. Cellucor values customers health, and they offer a 30 day with the full money back guarantee privilege. C4 has been recognized by users for giving a wide range of awesome tasting flavour known to thrill users for as long as possible. We would be taking a brief look at the comparisons then what differentiates the two products. At the moment, the top two competitors appear to be N.O.-Xplode and C4. Users reviews have shown that both the watermelon and fruit punch flavour of No Xplode and the reviews have been massive, however most users like the fruit punch flavour of No Xplode than the Blue Raspberry flavour of C4. Because according to user reviews the taste of C4 is also good, but people love that of No Xplode. No Xplode takes about 18.5 grams(one scoop) of the powder per serving. The nutritional values found in every serving are greater, but this does not certainly mean that No Xplode is better. However, each serving comes with 275 mg caffeine, 5.1 g Myogenic Matrix (contains creatine), and 2.9 g Endura Shot (contain CarnoSyn beta-alanine). Nonetheless, Cellucor C4 supplies sufficient nutrients to deliver that much-needed boost. In every serving, each serving provides 150 mg anhydrous, 1.6 g CarnoSyn Beta-Ala1 g creatine nitrate, and 1 g Arg 2 Oxoglutaric Acid. You should know that the caffeine volume isn't very high, which is a good thing. Too much caffeine consumption may, however, create some side effects such as stomach-related problems, tension, irritation, and sleeplessness. This product uses pharmacon blends, and the exact amounts of the ingredients in the medicament blends are not revealed. The elements for each blend and brand are different (energizers or caffeine are not present in all of the supplements, please be warned!) The particular type of blend ingredients frequently helps in muscle endurance, focus, and maintain energy. 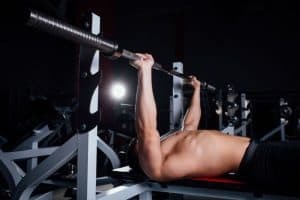 Also, a lot of them contain Branch Chain Amino Acids (BCAAs) which are essential for the development of muscles, and they could also serve as a fuel to the muscle. A few of pre-workout supplements include NO2 (nitric oxide) which boosts the release of 02 (oxygen) essential for the muscles, helps in speedy recovery, reduces fatigue, and supports performance. Now, taking into consideration its availability, we can say that both products come in various flavours however out of the two products, Cellucor C4 offers more in terms of flavour choices, and that is one of the major reasons why C4 is so well known. There are 13 flavours from, lemon drop, cherry limeade, green apple, strawberry margarita, pink lemonade, strawberry kiwi, berry blast, fruit punch, icy blue razz, juicy candy burst, watermelon, and orange creamsicle. You have all these great flavours to choose from. No Xplode on the other hand also has various interesting flavours, but these flavours aren't as many as Cellucor C4, No Xplode comes in seven distinct flavours; green apple, grape, blue razz, fruit punch, caffeine-free fruit punch, watermelon, and cherry limeade. And they taste pretty good. When you are looking to buy a particular brand of supplements or if you are stuck between choosing between products then it all comes down to the texture, smoothness, consistency and other important features. One distinct thing about these supplements is that they both come in powdery form, thus the need to mix with water. But between Cellucor C4 and No Xplode, we would point that Cellucor C4 has a better mixability and consistency making it easily consumable. C4 has a very mellow consistency, and it dissolves in water without difficulty. However, No Xplode is likely to foam up when it is mixed, and you have to whisk to get that consistency. As regarding texture, it gets a little thick, but this isn't a serious issue though as it doesn't make it difficult to consume, you can actually drink it without stress. Both C4 and No Xplode are widely known and used worldwid. They are sold on various platforms and stores worldwide so you won't have a problem actually purchasing this product. Some platforms have rated C4 and No Xplode with most users rating C4 higher than No Xplode while some rated No Xplode higher. Most of these ratings were based on some of the criteria we listed earlier in this review. This refers to the directions to how both supplements would be used and at what measurement. For No Xplode: Mix 1 scoop of No Xplode with about 4 to 6 oz of water and drink 20 to 30 minutes before workout. However, do not exceed 2 scoops in a day or at a time. C4 likewise recommends 1 serving mixed with 4-6 oz of water to be taken 20-30 minutes before workout. For that extra boost, one additional serving to be taken before your training. C4 has a product dimension of 4x4x4.6 inches, and its weight is about 12.5 ounces while No Xplode has a product dimension and weight of 5x5x7 inches and 2.45 pounds respectively. We would be looking at a few potential side effects and how to avoid them when it comes to pre-workout supplements. Insomnia is a person’s inability to sleep. And there are several causes of insomnia with caffeine being the major culprit in this case. After a hard day of work, its only natural for the body to slow down a bit. 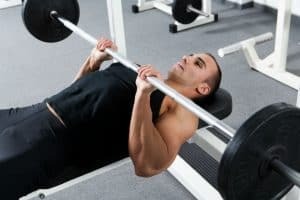 Now, these pre-workout supplements are loaded with caffeine, and the sole purpose of these supplements is to give you that extra edge and push when working out. Please always check the information at the back of the product before using it. 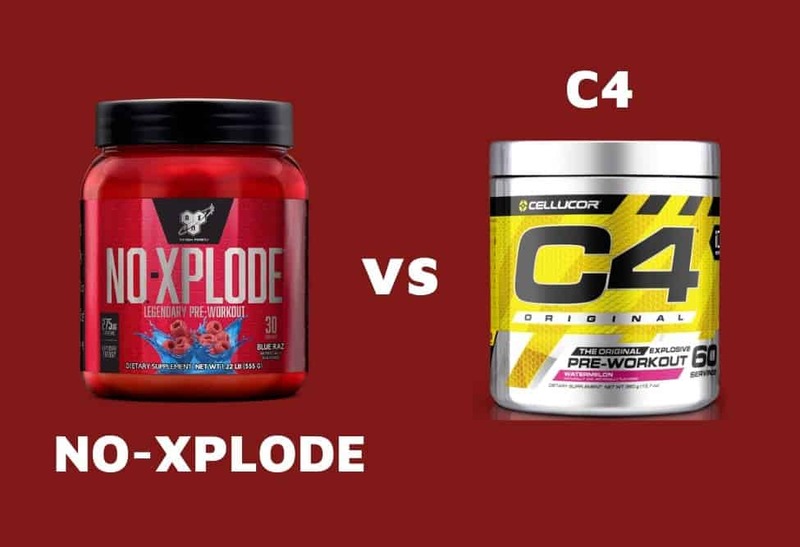 C4 just like a regular pre-workout supplement has caffeine (Caffeine Anhydrous (150mg) while No Xplode has Caffeine Anhydrous and Caffeine Cocrystal (PURENERGY )). Taking too much caffeine makes sleeplessness set it and trust me it can be really painful not being able to get some shut eye. Have felt its effects during the gym session and effects would fade before lunchtime. Regardless of your bodies metabolism, it's essential you watch the serving size and don't take more than the required dose because you didn't feel its effects immediately. However, if you've overdosed or starting to feel side-effects the first thing is to discontinue, another to is to reduce the serving size of either supplement. A number of elements in pre-workout supplements extract water and expel leading to dehydration. These ingredients are purposely put to assist in weight loss if they are however taken in larger doses dehydration is imminent. Dehydration leads to headaches among other forms of illnesses. If after consumption you find yourself visiting the toilet more than required then it's a clear sign that you are getting dehydrated. When working out you lose fluid through sweat, in pre-workout supplements, the creatine compound in it aids the pulling of water from those working muscles. Make sure you stay hydrated all through the day depending on the rate of dehydration. Diarrhoea occurs during numerous pre-workout supplements, and they occur for certain reasons, the exact ingredients used in these supplements could contain laxative effects that can send you to the toilet almost immediately after consumption. A major cause of this is when you have people taking supplements and not knowing jack about the user's metabolism or how these products are absorbed. A very simple way to counter this effect is to use more water when mixing next time. Now, most pre-workout supplements would tell you on their label to use about 236.588ml of water, and most times this is not enough as the mixture isn't fully diluted, and this could lead to diarrhoea. However, if you find yourself rushing to the toilet water after using a new or your current pre-workout supplement then its time you mix with more water. We also advise that you take more water throughout the day and also during your routines. Due to the presence of caffeine in pre-workout supplements, it's always normal for stimulants to escalate your blood pressure however we would advise that you consult your dietician or doctor before you think of starting a particular supplement or beginning any workout routine. For a lot of people after workouts, their blood pressure levels return to their normal positions, but the fact remains that your blood pressure-workout during workouts. However, If told by the doc, or you have high blood pressure the best thing would be for you to discard and completely stay away from all forms of pre-workout supplements and workouts. Dehydration is a major cause of headaches, the fluids that go to the brain becomes thinner and can lead to the brain bumping into the skull leading to a headache. That's why we have been stressing the need for staying hydrated during and after workouts. Another major cause is the ingredients known to facilitate muscle pump, and when this muscle pump happens, the blood vessels enlarge along with the vessels in your head, and this leads to headaches. As a countermeasure, staying away from pre-workout supplements that contain “muscle pumping” properties or you could reduce the serving size just to observe if you'd get the same effects. But as we have been trying to let you know, hydration is the best way to counter these effects. However, we don't dispute trying the points mentioned earlier. A familiar side effect of a couple of pre-workout supplements is usually that prickly feeling all over your body. However, effects are dependant on the user's sensitivity to several ingredients (niacin or vitamin b3) that are present in these supplements. Also, research has shown that the presence of niacin is high in most pre-workout supplements. An increased dose of niacin can bring about an effect on the skin causing red and itchy rashes on the skin, but these effects are not really severe. The first thing would be to stay away from supplements that have niacin if you don't like the flush effects of niacin. Secondly, switch to a reduced dose of the supplements and observe before deciding to quit or continue usage. There are a few things to note when taking supplements which we have written about in some of the remedies listed above. We have however listed a couple of things that you should have in mind and also practise before even thinking about taking supplements to start with. Stop eating junk, refined and processed foods. Take a lot of vegetables. Eat high-quality foods in control. Participate in strength and cardiovascular training exercise constantly. Pay your pediatric doctor a visit to know which compounds in the supplements are actually beneficial or harmful to you. Always check the back of the product for nutritional values before purchasing. 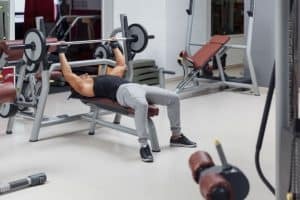 After listing and discussing a few of the side effects, features and things to note we would conclude with the benefits of using these pre-workout supplements to start with. Caffeine content in pre-workout can help boost performance. Caffeine can also help burn unnecessary fat. Citrulline helps in reducing fatigue. L-theanine in these supplements improve your focus. Beta-alanine in pre-workout supplements speeds up muscle growth. Yohimbine increases blood flow and boosts strength while working out. L -arginine helps improve blood flow. Creatine increases time and boosts work capacity. BCAAs in pre-workout supplements can help accelerate time to exhaustion. BCAAs can help boost the recovery rate. Sodium bicarbonate can increase strength during a workout session. L- tyrosine helps to sustain mental focus in very stressful situations. This is where we would draw curtains on this comparison between No Xplode and C4, we have discussed it's benefits, strong comparison areas and possible side effects with ways to counter and remedy these side effects should any occur. However, as regarding the final decision on which of both products is better then we would have to point a few things out. No Xplode has its benefits which are better than C4, and likewise, C4 has benefits which are better than No Xplode but either way it all comes down to personal preference and body metabolism and reaction to certain compounds included in the supplements. 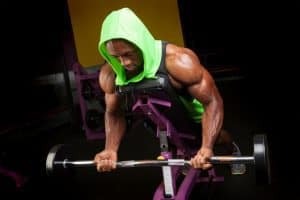 Most dieticians and veterans in the bodybuilding business would naturally advise you to stay away from pre-workout supplements that have caffeine and other ingredients we mentioned earlier. 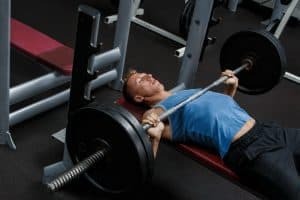 However, the appropriate advice would be to pay close attention to the measurement if you find out that using a particular brand of pre-workout supplements then reduce the serving amount.